Jonathan Hutt is a Consultant Orthopaedic Surgeon and Specialist Hip Surgeon at St. George’s University Hospitals NHS Foundation Trust. He studied medicine at New College, Oxford and Imperial College before completing his orthopaedic training in London. This was followed by fellowship training in hip reconstruction at the Université de Montréal in Canada and in young adult hip surgery at Guy’s and St Thomas’ Hospital in London. His specialist interests are in all aspects of hip surgery, including joint preservation techniques such as minimally invasive periacetabular osteotomy and hip arthroscopy for femoroacetabular impingement (FAI), through to primary and revision hip replacement. He has a particular interest in young patients with hip problems. Jonathan has published numerous research articles and regularly talks at orthopaedic meetings in the UK and worldwide. 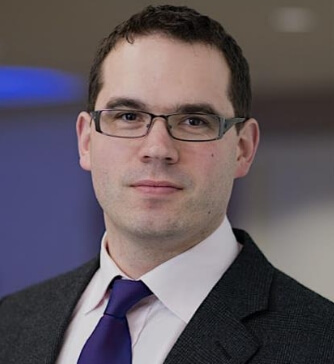 He is an investigator for the H1 ceramic resurfacing trial at King Edward VII Hospital, and has ongoing research interests in emerging hip technology as well as all areas of his practice.